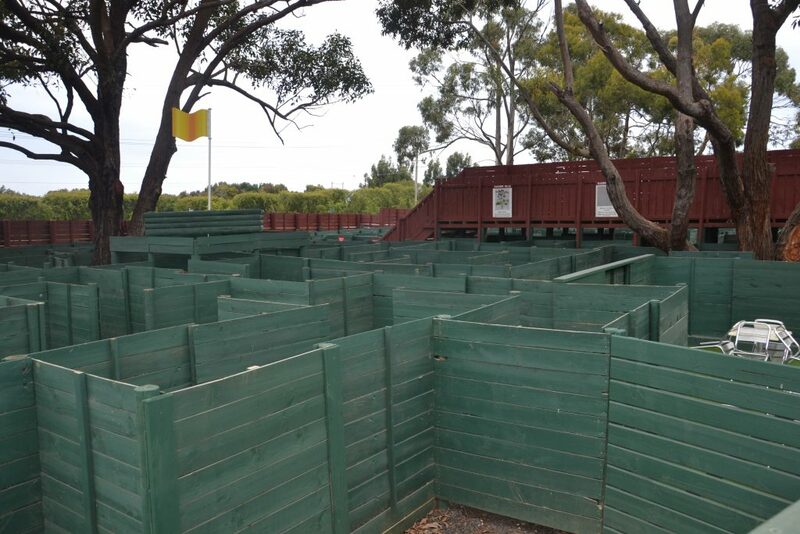 One of Phillip Island’s most popular attractions for families and kids is A Maze‘ n Things, and is definitely a place to visit if you are in the area. 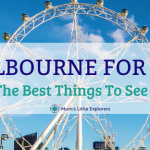 Just 2hrs from Melbourne this unique interactive space has a range of different attractions including Puzzle Island, Magic Mannor, A giant Maze, Mini Golf, and the ever-popular Sky Trail this family attraction is not to be missed! 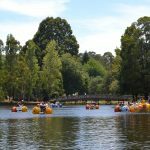 A Maze‘N Things in Phillip Island, More than just a Maze! Be puzzled to the max in Puzzle Island where you can get shrunk in the Shrinking Room, confuse yourself in the Gravity Room, get lost in the Mirror Maze, and fly around Phillip Island on boogie boards. 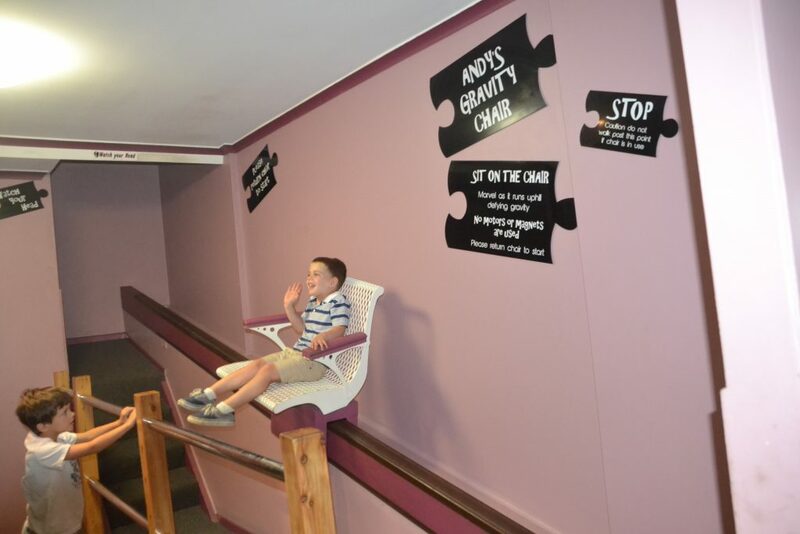 There are so many puzzling things to see and do including the giant slide which is 7mtrs! 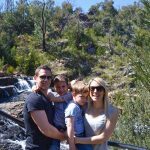 If you dare kids (and adults) over 110cm can do the vertical drop! Do you have a little magic lover? 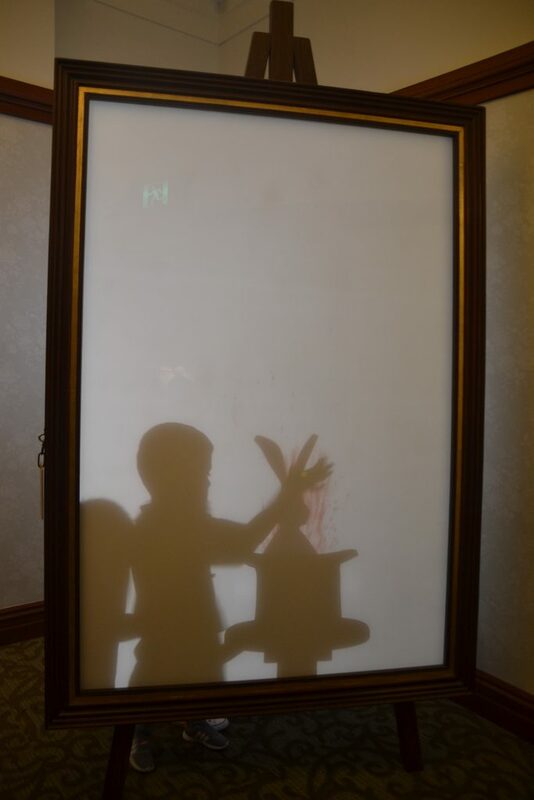 Then Magic Manor is the perfect place to see magic displays and illusions. There is a Time Machine, Scare Room, Flying Chandelier, Magic Rabbits and a Mysterious Cave. 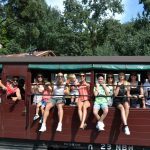 Magic Manor is a one of a kind magical experience. Get lost and find yourself again in the giant 3D maze! This is not the easiest maze to complete but it can be done. With over 2km of twists, turns, and dead ends, the maze is definitely a challenge you need to try it to discover the excitement. Word of warning, you will get lost many times, it will confuse you, and frustrate you, but once you reach the end it will all be worth it! (and in case you can’t don’t worry, there are many emergency exits. 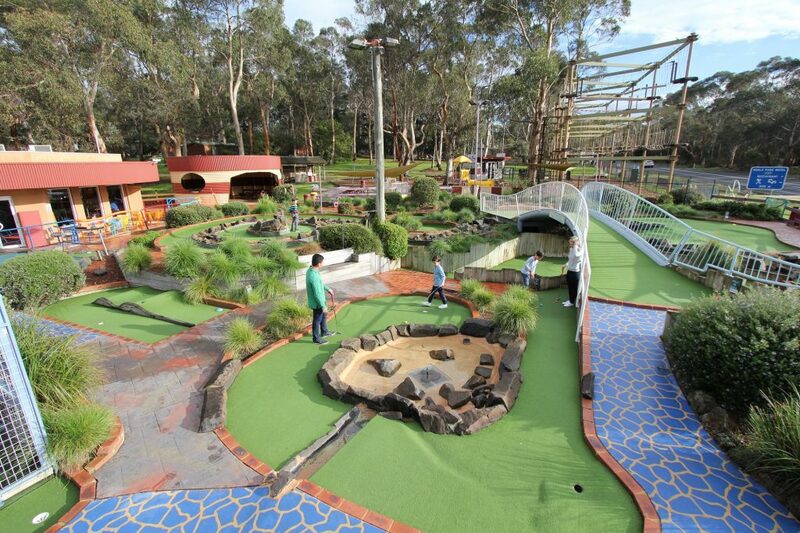 Everyone loves a game of mini golf, and Amaze’n Things Mini Golf will definitely entertain and challenge the whole family. With 19 holes to conquer it is a fun way to spend time with friends and family, having fun. For those who love an adrenalin rush the Sky Trail is for you. 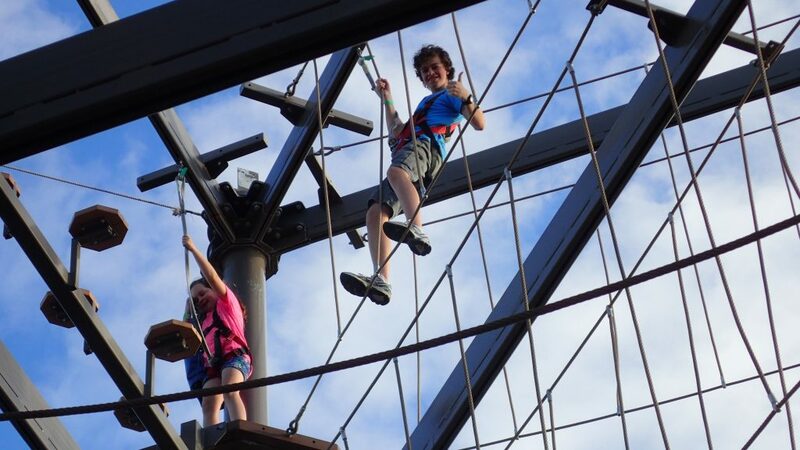 This high ropes course is perfect for thrill seekers who love a challenge. 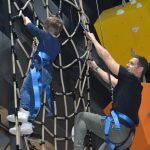 Completely safe, you can walk the sky trail in a harness exploring through swinging bridges, ropes, and different obstacles. 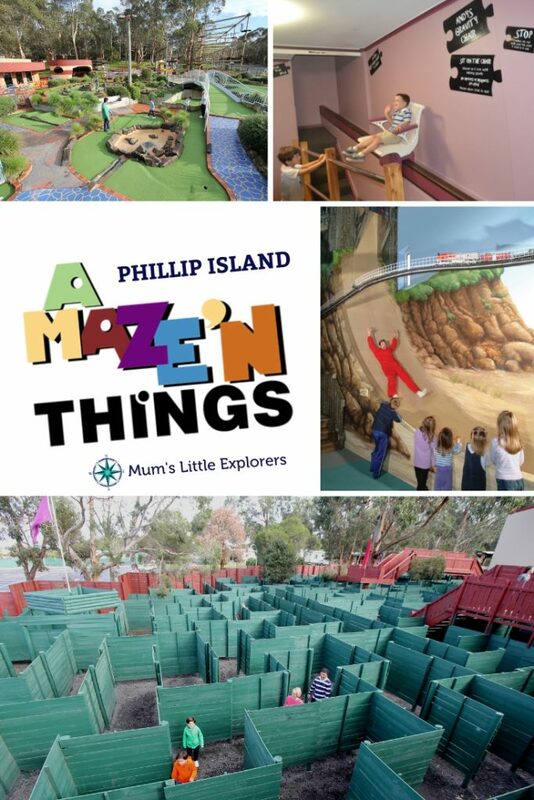 If you are in Phillip Island, then A Maze’n Things is definitely an attraction worth visiting in any weather. 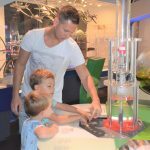 Suitable for all ages, it will keep kids entertained for a whole morning or afternoon and provides and on-site café/restaurant to refuel afterwards.